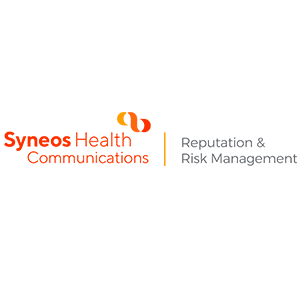 The Week That Was is back in the New Year, with a new look and new company name: Syneos Health. The new brand represents the combined CRO capabilities of your old friends at inVentiv Health and INC Research, which you may recall, merged last May. New year, new company—but same great weekly recaps! So has 10% become the unofficial “upper limit” for price bumps? We’ll see. As we’ve discussed at length in The Week That Was, Saunders’ pledge set a new standard of transparency and ownership around drug pricing. However, the goodwill around the pledge was short-lived, and subsequent pledges generated more criticism than praise. The “cap” might not be decided by industry—and might not remain voluntary—as more states have started to create thresholds for public reporting and coverage review based on price increases. Vermont led the nation in 2016 with its mandate for public reporting of yearly increases of 15% or more. Last year, New York State set an annual cap on Medicaid prescription drug spending to medical inflation plus 5 percent—offering pharmacos the ability to provide voluntary rebates or face several rounds of reviews to remain on the Medicaid formulary. In this volatile environment, we advise our clients to be proactive. Connect with stakeholders to discuss price increases, explaining additional investments in research, patient support services or drug delivery methods to improve compliance and ease-of-use. Demonstrate the value of your medicine through patient success stories. And invest in—and publicize—health economics data to help quantify system savings and other indirect benefits that patients and families experience. With an $850,000 WAC, you would think that price would dominate the coverage of Spark Therapeutics’ Luxturna, the company’s recently- approved single dose gene therapy for blindness. Not so. While the price did come in below the expected $1 million list price, coverage has focused on the myriad of novel programs Spark developed to improve patient access and address the actuarial challenges of a costly one-time treatment. Under one type of agreement, Spark will guarantee rebates if patient outcomes do not meet specific thresholds. The company has also offered innovative contract to decrease the risk of traditional “buy and bill” models and is working with the Centers for Medicare and Medicaid Services (CMS) on a “Luxturna layaway” program: paying on installments to spread costs over several years. Spark’s unprecedented focus on reimbursement structures and OOPs for patients, as well as validation from industry thought leaders like Express Scripts’ Steve Miller and former FDA commissioner Mark McClellan, has helped offset pricing criticism and resulted in more balanced media. Spark’s approval announcement focused on reimbursement, yielding coverage that included explanations of list price versus patient out-of-pocket costs, limits of traditional insurance models when applied to new types of “curative” treatments, and the ways pharma distribution can impact pricing. What does this mean for 2018? We expect coverage may evolve to examine the broader factors impacting the price of medicine, along with an expectation that system players work together in creative ways to address financial challenges unique to new classes of treatments. For companies anticipating a 2018 approval, bringing market access teams into the communications planning process–early and often—is key. In what may be the future of T cell therapy, scientists at UCLA have been seeing positive results from using modified T cells to fight HIV-infected cells. The engineered T cells are equipped with genes that will produce surface molecules to identify and attach to tumor cells. Once attached, the T cells destroy the tumors. While a potentially huge medical breakthrough for both cancer and HIV therapies, recently approved CAR-T therapies run around $500,000 per treatment. With the majority of HIV/AIDS patients living in developing countries, analysts raise concerns that patients will struggle to afford these new treatments. There’s an old saying: “If a medicine goes to market, but no one can access it, does the treatment even exist?” or something like that…While only a few gene therapies are commercially available today, the pipeline for these new class of treatments is extensive—and rapidly approaching the market—raising serious questions about pricing, reimbursement and accessibility. While drugmakers like Spark (see above) and Novartis have started to address reimbursement challenges by pairing drug approvals with novel payment models, the patient populations for Luxturna and Kymriah are a fraction of patients eligible for an HIV cure. Finding ways to make groundbreaking, lifesaving precision therapies accessible and affordable for widespread diseases may be more challenging that discovering and developing the drugs themselves. December is here and elves have started hiding on shelves—but there’s no sign that things are slowing down as we head toward the holidays. CVS is moving closer to buying Aetna and the senate passed its version of the GOP tax overhaul. So read on for The Week That Was. The Week That Was team is making our grocery list and checking Black Friday sales, eager to try a new turkey brine and score some electronics deals. Before we fade into a tryptophan-induced slumber, let’s review some of the big announcements from last week. Temperatures are finally dropping here, but we’re still seeing highs and lows all over the map. From the “science is awesome” files, hospitals feeling the squeeze, and Commissioner Scott Gottlieb touting new guidance for a single DMF for shared system REMS submissions.